Doha Metro is the world’s largest infrastructure project by Qatar Rail Company that started in the year 2013 and was completed this year, in 2019. Eighty-two km of metro tunnel incorporating 26 stations will run underground in Phase 1. 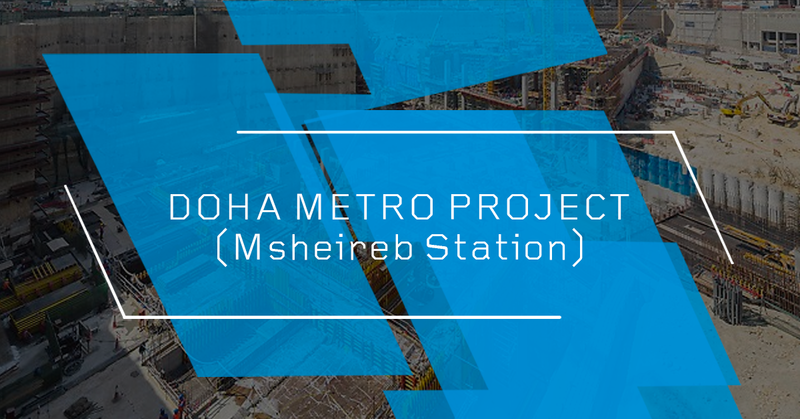 Msheireb Metro Station will serve as the heart of Phase 1 as it is the major interchange station of three metro lines – with Red and Green Lines running parallel and Gold Line situated underneath. Encardio Rite was awarded the I&M sub-contract for complete monitoring and surveying solutions for diaphragm walls, ground anchors, piles, groundwater, adjacent ground and buildings, falling within the zone of influence of Msheireb Station and its west entrance structure. Msheireb Metro Station is the largest underground station in Doha situated at the corner of Msheireb Downtown Doha development. The station lies between ~ 15 m to 40 m below ground level. 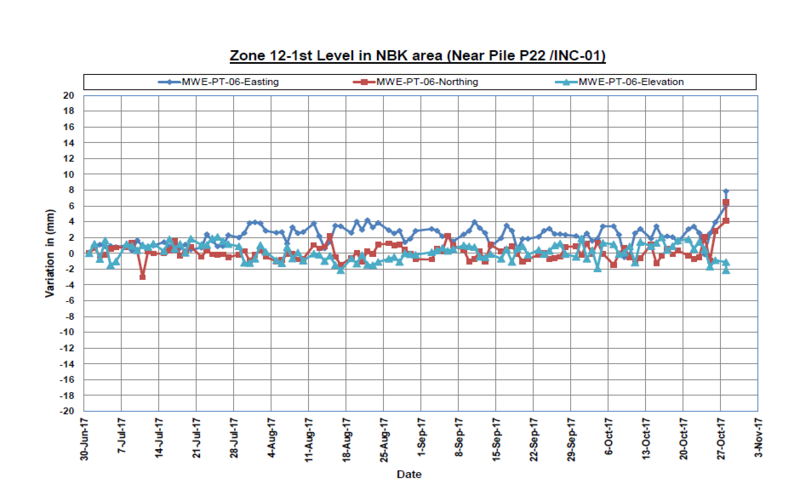 The Msheireb Station in the centre of metro already forms the accumulation point of the whole system. 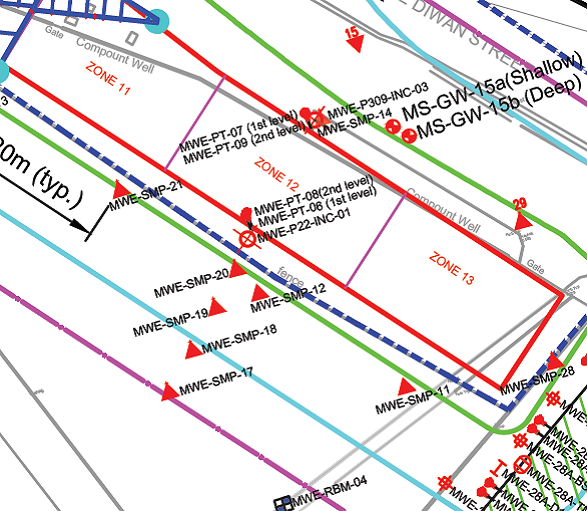 All lines meet here and, 12 TBM breakthroughs ended at this mammoth station alone. 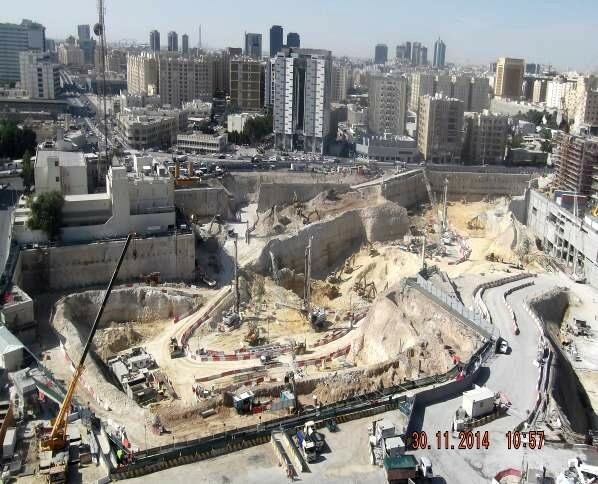 Excavation for Msheireb Station, approximately 40 m below ground level is one of the deepest excavations for metro in The Middle East so far; therefore, Instrumentation & Monitoring (I&M) works play an important role in the project. 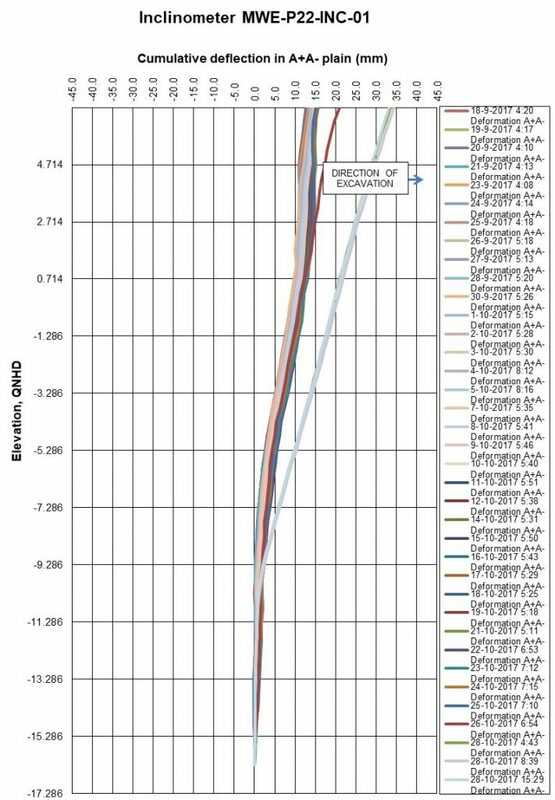 Increase in lateral movements was noted in 2 inclinometers (picture 1) as the excavation progressed. 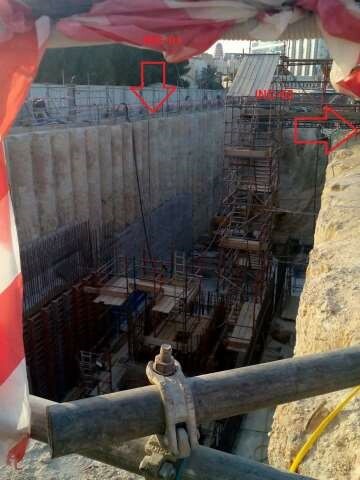 These inclinometers were installed in secant pile walls to support a 14 m deep excavation (picture 2 shows the location of these inclinometer on the instrumentation layout plan by blue arrows & picture 3 shows the actual site). The increase in the movement occurred on the same day. 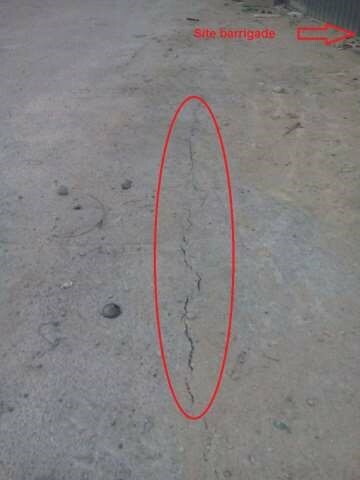 Upon visual inspection at site, to verify the inclinometers results, cracks were observed in vicinity of the above inclinometers (picture 4 to 6). The cracks were formed as the top of the piles moved towards excavation away from the surrounding ground. Readings of the 3D prisms installed on the piles near the above the inclinometers also showed an increase towards excavation (picture-7), further corroborating the results of the inclinometer. 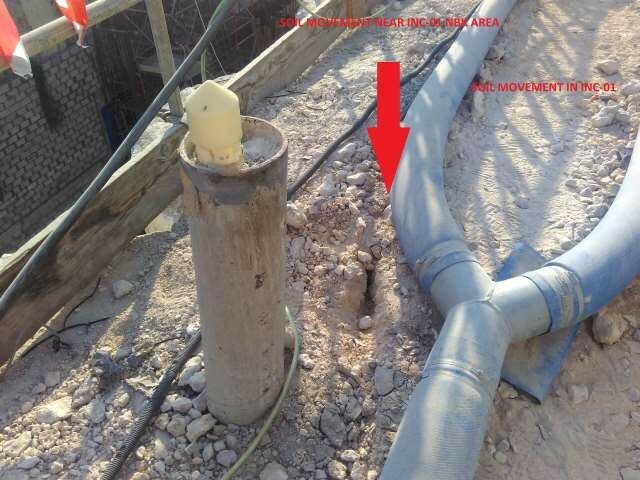 The above results and site inspection observations were promptly reported to the main contractor for taking corrective actions. Carried out a dedicated Pre-construction building condition survey. Looked after the supply of geotechnical instruments, precise survey instruments and targets. The installation of geotechnical instruments including the drilling works for sub-surface instruments and survey targets. Manual and automatic monitoring go hand in hand for the success of any project. Setting up an online web-based data management system (WDMS) and its maintenance during the contract period. Spiral test for inclinometer installed in the soil. 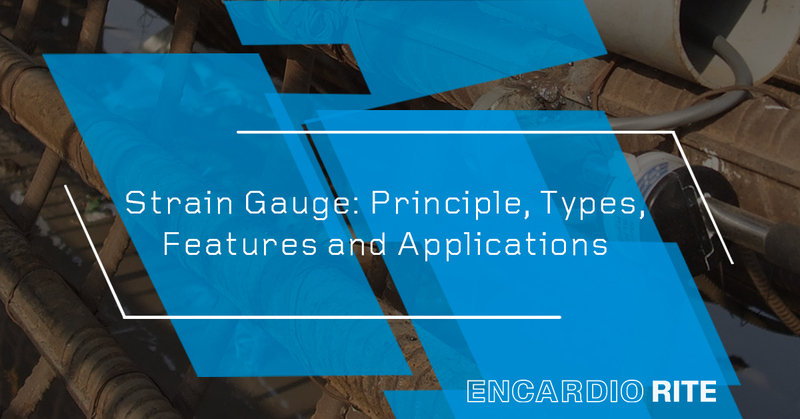 Inclinometer: This device is used to monitor lateral movements of diaphragm walls, piles and ground around the deep excavation. 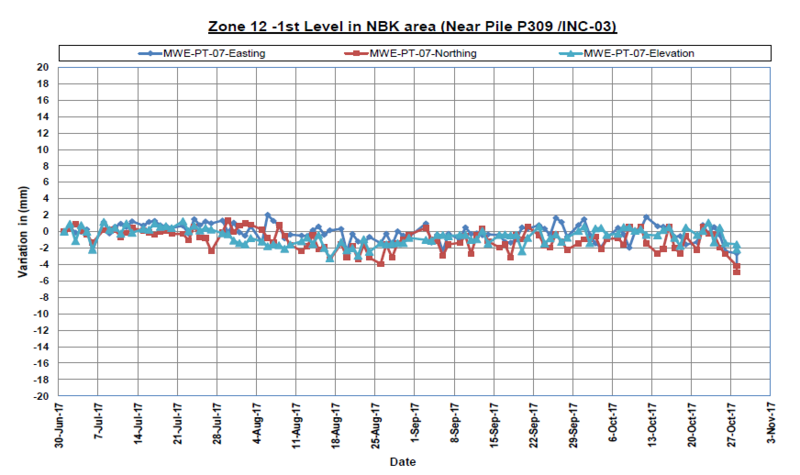 In-place inclinometer (IPI): It was installed in D-wall at critical locations and monitored every two hours automatically to check the lateral movements. Vibrating wire Piezometer: Multilevel vibrating wire Piezometers were used to monitor the groundwater pressures around station area at various ground stratum. 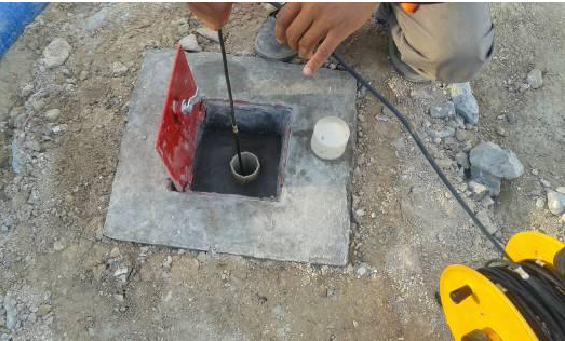 Standpipe Piezometer: They were installed in the ground around the station’s excavation and within excavation to monitor groundwater level. Surface settlement points: It was installed in soil and pavement to monitor surface settlement around excavation works. Building settlement points: These points were installed at each building within the zone of influence to monitor its settlement. Prism targets: Prism targets and mini-prism targets were installed on critical buildings and D-wall for 3D deformation monitoring. Tilt meters: Tilt plates were installed on critical buildings close to the excavation works. Portable tilt meter was used to record tilt readings. 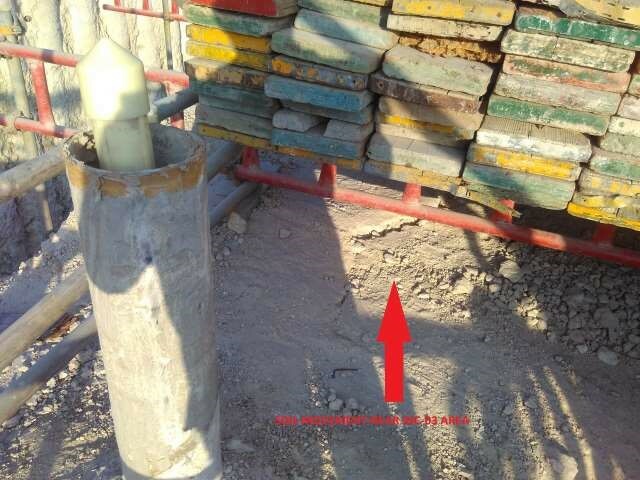 Load cell: Load Cells were installed on ground anchors to monitor load. 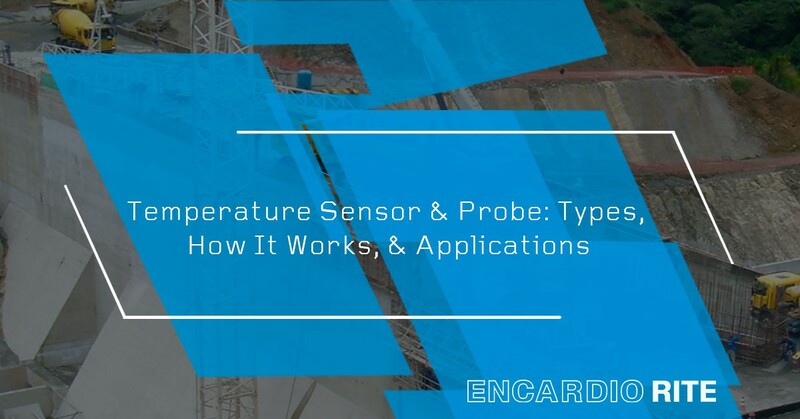 Automatic data acquisitions systems and compact data loggers: For automatic monitoring of IPIs, vibrating wire piezometers and load cells. Experienced and proficient I&M team of Encardio-rite is providing services for almost 4 years. 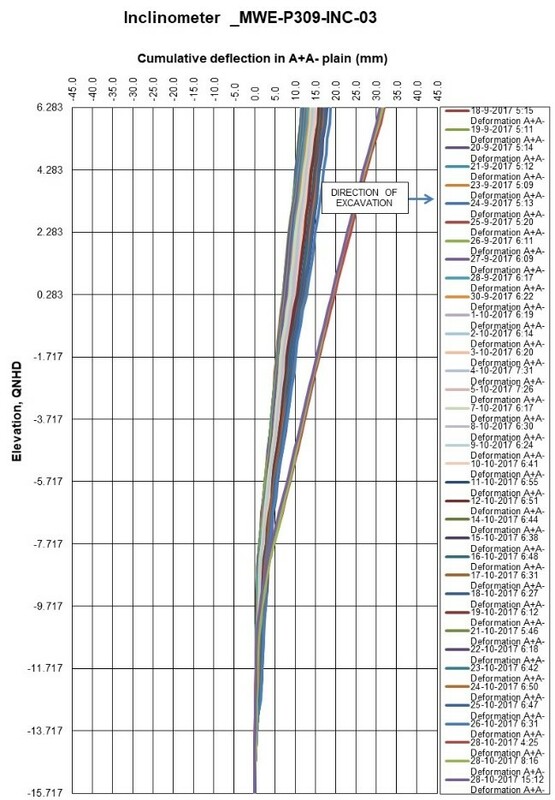 Monitoring reports included interpretations of variations observed in instrument data, mentioning the factors likely to affect their behaviour e.g. construction, dewatering, third party activities etc. were provided to the contractor on a regular basis.